It is that time of year, after all. 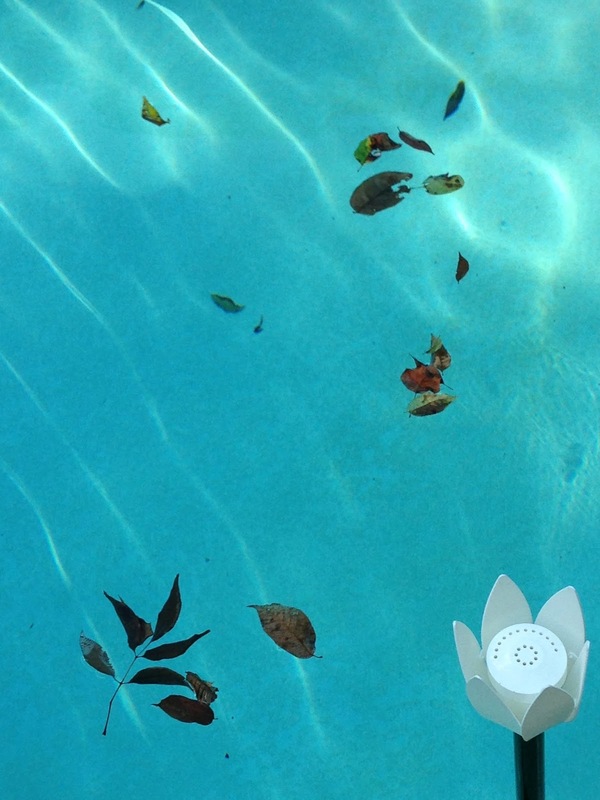 The temperatures are crashing, it is 52 degrees at my local weather station, and the leaves are beginning to fall from the trees--and into my pool. They make interesting patterns on the surface of the water extending to the pool bottom as shadows when the sun shines. Yet, they must be scooped out lest they stain the already stained pool bottom even more than it already has been through years of use and abuse. Although the water is crystal clear in the pool, being warmer that the surrounding air means that my days of lounging on a floatie with a drink in the hot afternoon sun are probably nearing an end. I may squeeze in another afternoon or two--but likely the pool will be closed before the end of September. We were considering a pool make-over, but our Jaguar taste on a Toyota budget means the dollars and the desires are not congruent. It has been a good year for house upkeep already--new roof, wood floors in two bedrooms, stained deck, and a shed to open up the garage for two vehicles. Maybe a pool make over is just a few dollars too far! I know though, I will be looking at the image in this blog during the dark and cold months wishing that I could be scooping leaves out of the pool in preparation for a party or lounging in the sun. Once September ends, my thoughts turn to the arrival of April and pool opening which I have already penciled in for April 26th. Yup. Planning ahead for Spring Break, pools, and next summer!